Three volunteers, two Brits and one French citizen, were arrested while distributing food among migrants in the Italian town of Ventimiglia, near the French border. The three were charged with violating a city order prohibiting food donations to refugees. The news came out on Thursday, when the volunteer association and police unveiled the details of the arrest. The incident took place on Monday, March 20, when the three volunteers, who belong to the Roya-Citoyenne humanitarian association, were arrested by Italian police while distributing food bags to refugees in Ventimiglia, a city and commune in Liguria, northern Italy, some 7km from France. 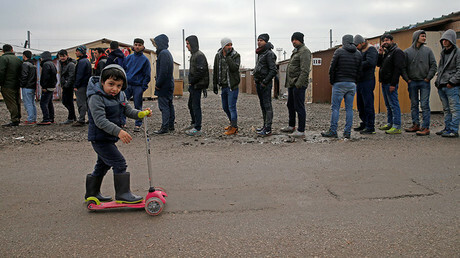 The city has been a migrant bottleneck due to its proximity to France since the latter imposed tighter border controls last year, with migrants crossing the Mediterranean Sea from North Africa flocking there in hope to get to Northern Europe quicker. On the night of the arrests the volunteer group distributed some 160 food bags, including apples and cans of tuna among the refugees as well as some clothing. “We were about 10 people, but they took the two drivers of the vehicles which had the food and Simon, a Briton who had forgotten his passport,” one of the volunteers, 64-year-old Gerard Bonnet, told AFP. One of the arrested volunteers described the events, according to Citoyens Solidaires website. “The distribution had been conducted from three cars. We arrived early, began the distribution quietly, the migrants started coming to us from all sides, we gave around the tea. Then police suddenly appeared, interrupted the distribution, started checking identities,” Gibi, a resident of the Roya valley previously arrested in France for helping refugees, said. “After a phrase, ‘I understand you, if I did not have the uniform, I might be with you,’ a police commissioner takes two drivers and we find ourselves at a police station, along with a third volunteer who had forgotten his passport. #Ventimiglia 3 volontari francesi arrestati per "aver somministrato senza autorizzazione cibo ai migranti"
“This activity has been banned by a decree from the mayor of Ventimiglia,” police said, as cited by AFP. The town’s mayor instituted the ban on distributing food to migrants in the summer of 2015, when the number of arrivals started rapidly increasing and asylum seekers began to block the local train station. The ban was placed solely on unregulated distribution of food, city officials claimed to AFP. 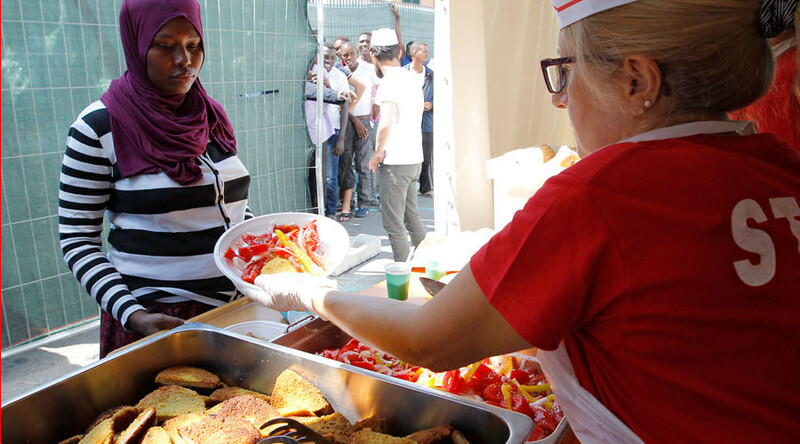 Migrants in Ventimiglia can still find assistance and food at a Red Cross camp outside the town, as well as at the Catholic charity Caritas. Earlier this year, Ventimiglia was in the spotlight for another migrant-related incident. In early January, French farmer Cedric Herrou went on trial, charged with helping illegal migrants “enter, move about and reside in” France. He is alleged to have transported more than 200 migrants from Ventimiglia to France, welcoming them at his small garden, where he let them live in tents or caravans. Even after he was faced with criminal charges, Herrou said he was doing his civic duty and vowed to go on with his activities. Nearly 180,000 people crossed the Mediterranean from North Africa into Italy between 1 January and 19 December 2016, according to the UN International Organization for Migration. Many European countries, including France, tightened borders controls and introduced more rigorous checks to stem the influx of migrants. Others have come up with other measures, too. Austria, for instance, recently doubled the amount of money it pays to migrants who voluntarily leave the country and return home. 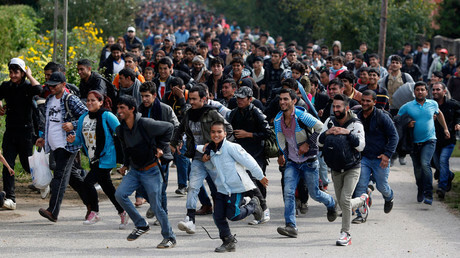 Official figures showed about 10,700 refugees left the country last year, including 5,800 by choice.